I hadn’t planned to join the polytheist month of silence, but it kind of worked out that way. But an incident has come to my attention that I feel is very important to speak out on. The ethics of food should be an important element in any religious considerations, but even more so for any pagan or earth-respecting traditions. As embodied organisms we all have to eat, and from an animist perspective that means we have to eat someone. So how does one do that in an ethical manner? Indigenous hunter-gatherer cultures are rich places to look and one can find numerous ways these cultures saw the exchange of lives as one of mutual giving and taking. But the taking of life was not one lacking in consequence. Aua, an Iglulik (Inuit) shaman told Rasmussen, a Danish ethnographer that: the greatest peril in human life lies in the fact that human food consists entirely of souls. All the creatures that we have to kill to eat, all those that we have to strike down and destroy to make clothes for ourselves, have souls, like we have, souls that do not perish with the body and which must therefore be propitiated lest the should avenge themselves on us for taking away their bodies (quoted in Graham Harvey, Animism). Today things are very different in the developed world, with foods being bought usually without much if any thought as to their provenance before they hit the supermarket shelves. But a small bit of delving leads a conscious person to understand that both agricultural monoculture production of plants and factory farming of animals is rooted in destructive and cruel practices, that at their extremes (huge warehouses of chickens whose beaks have been cut off, since they are in cages the size of their bodies and in their misery would peck each other to death) are degrading to life itself. Some people take a vegan or vegetarian response to avoid the shedding of animal life. Some of us find our bodies are healthier with animal proteins, and also are keenly aware that plants are alive and conscious as well. I practice a harm reduction approach, shopping for meat from sustainable raised and humanely treated sources (with the global welfare rating system), just as I try to consume organically raised plant foods, although I can’t always afford to do so. As an urban person, I make myself more aware of how food is produced. A troubling related trend is occurring in contemporary paganism/polytheism, that of blood sacrifice. I will qualify what I am saying, in that for people that are raising their own animals, that form of sacrifice makes sense, a making holy of the food they (and associates) will consume. But for urban and suburban people this is deeply problematic (most of us don’t live on farms). Defenders of this practice also engage in terribly sloppy, if not dishonest, thinking, such as if one is not a vegetarian then one has no business to criticize them. As I have already stated there is a wide spectrum and one certainly can buy meat that has been rated as to the type of life that the animals lived. Another common failure of thinking is that there are humans, and then there are animals, who are all alike. While I think this is rooted in the sort of Abrahamic thought processes that have caused such mismanagement and abuse of the natural world, the idea that the human species is somehow separate from nature and above it, it also reflects a failure of thought in that there are many relationships humans have with various species. In the United States there are several species who are companion animals to Homo sapiens, obviously including dogs, cats, and horses. Well, it should be obvious but it isn’t to some. While I am not a lawyer and law is an extremely complex subject, certainly in many areas it is illegal to kill and consume these companions, and many if not most Americans don’t see a difference between doing so and killing and consuming the neighbor’s children (remember Jeffrey Dahmer?). Different cultures will have different relationships and ‘contracts’ set up with different species; in India only the most insensitive person would kill a cow. There are many specific laws relating to animal welfare, and to protection of endangered and threatened species. Also as to where and how animals can be hunted, farm animals slaughtered and so on. I will make no secret about it, I was sickened to hear that a fairly well-known pagan went to Canada to consume horse, a country that does have legal horse slaughterhouses. The killing of horses is extremely brutal, the animals are not knocked unconscious by the bolt used in slaughterhouses (and designed for cattle), but are actually often conscious while they are cut up. Whatever one may think of someone raising a horse from a foal on their farm, and eventually in a rite that wrenches their heart sacrifices—removes something very valuable from this world—in a Vedic reconstructionist rite is not even in the same conceptual universe as someone buying some slaughter-house derived meat. This is an extraordinary level of confusion. It is also confusion as to the meaning of sacrifice. If I go to Safeway and buy some burger and eat it in a ritual, that is not a sacrifice. As someone who practices a sacrificial religion to see such confusion is a headdesk moment, but unpacking that will be for another post. Even in the ancient cultures the animal was supposed to be well treated, and to go willingly; if it struggled it would be an inauspicious sacrifice. I could really go on and on on this topic but in closing I will say that it’s pretty obvious that animism and animal are from the same root. To participate in such a rite is so far from animism. I know people whose gods are living animals. What kind of paganism/polytheism could be so disrespectful of an animal, and in the case alluded to, to a particular horse. I can only wonder what the biography of that unnamed horse was? 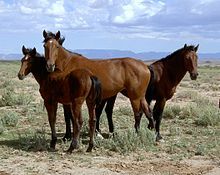 Was he or she an abandoned racehorse, a brood mare, a feral Mustang? Why did the eaters feel their lives and their spiritual concepts are so much more important than that equine person who might have trusted humans and then most likely died in terror and horrifying pain. I wonder how the eaters have attempted to propitiate that horse’s soul? Reconstruction is about reconstructing practices that are appropriate to our own context (not that’s there’s much evidence of widespread sacrifice of horses in ancient Celtic culture). Eating horse, dog, or cat is not. I hope more people will speak out against this. Those unable to understand the difference between companion animals and animals raised for food should educate themselves that it is also illegal to eat these animals in the state of California. part of the animal for food. under the laws of this state pertaining to game animals.